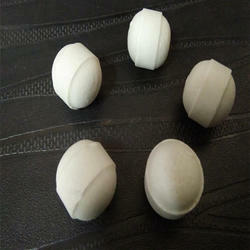 We offer high quality of Ceramic Balls. 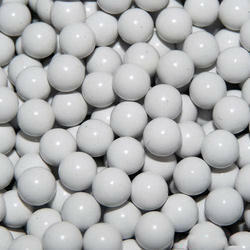 Ceramic Balls may be used at temperatures up to 1725 deg. C (3135 deg. F). They are extremely hard, abrasion resistant, and immune to all furnace atmospheres. We are a trusted name in the industry for manufacturing high-quality White Ceramic Balls, which have earned us a huge clientele for being high in performance and pure in composition. They are used as grinding medium for grinding raw materials in ceramic industries. We have a reliable vendor base for providing with optimum quality of products as we are a client-centered organization and believe in catering our customers the best products. 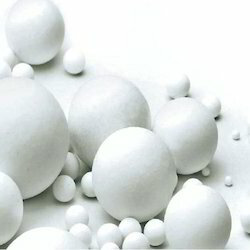 We are the pioneers in manufacturing high-grade Common Ceramic Balls used as a grinding medium in the ceramic industry. They are highly strong and non-reactive to acids and alkali. The products have been made with good quality ingredients. We are well equipped for handling bulk orders and are prompt with deliveries. We are the prominent manufacturer of Inert Ceramic Balls, which have earned us huge appreciations by our revered clientele for being superior in quality. They are used as grinding medium in ceramic industry and are resistant to acids and alkalis along with being highly stable to temperature fluctuations. The products are pure in composition. The specifications vary with the size. Ceramic Balls are very hard and abrasion resistant. The best thing about our Ceramic Balls is that they can withstand all furnace atmospheres. 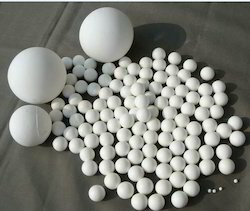 We are enlisted among the reputed Manufacturers of Ceramic Balls. We make available Ceramic Balls in different variants such as Ceramic Ball (Grade_BS-AA), Ceramic Ball (Grade_BS-MS) and Ceramic Ball (Grade_MSBSW). Looking for Ceramic Balls ?